As we continue to look at the Dispensational view of the Christian life, we are pleased to be able to begin to look at the more positive side of the issue. That is not to say that the content of the teaching doesn't have negative aspects, but the outcome of those is quite positive. Having examined the Christian's obstacles to living the Christian life, it is necessary now to look at what are the positive steps toward actually overcoming said obstacles. We will endeavor to do that here, and in the following post(s). Lewis Sperry Chafer made a bold statement when he said, "The Christian will always be filled (by the Spirit) while he is making the work of the Spirit possible in his life." Bold statement or not it is biblical and can be substantiated by careful exegesis. We will now consider this truth very briefly. Scripture gives the believer much in the way of directives and principles by which he is able to progress in the Christian life. We will examine four main imperatives, one dealing with the first intelligent step toward growth, and three dealing with the believer's relationship to the indwelling Spirit: 1.) Present yourself to God (Rom. 12:1), 2.) Do not grieve the Spirit (Eph. 4:30), 3.) Do not quench the Spirit (1 Thess. 5:19), 4.) Walk by the Spirit (Gal. 5:16). 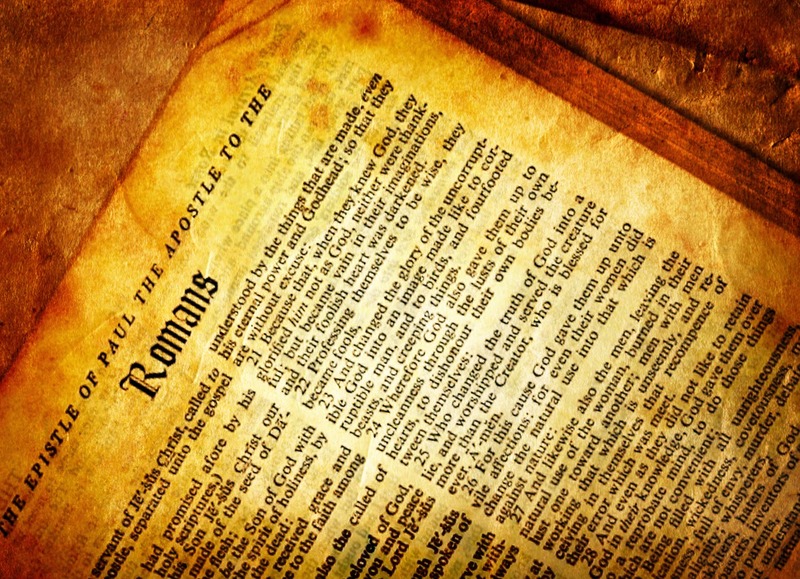 After spending the first eight chapters of Romans developing deep doctrinal truths including the foundation of the believer's position in Christ Paul begins chapter twelve with a command that serves to shape the remainder of the letter: "Therefore I urge you brethren, by the mercies of God (from the first eight chapters) to present your bodies a living and holy sacrifice, acceptable to God, which is your spiritual service of worship" (Rom. 12:1). Paul spent a great amount of the first three chapters developing the truth of man's lost estate capping off the section with the pronouncement that "all have sinned and fall short of the glory of God," followed immediately by the glorious news that those who are saved are so by "being justified as a gift by His grace through the redemption which is in Christ Jesus" (3:23-24). Again, the focus is on what God has accomplished on behalf of the believer and this truth is the basis upon which Paul pleads with believers to present their bodies to God. The idea that Paul is attempting to convey is that, based on the glorious mercy of God in our salvation, we should dedicate ourselves completely to Him. The language used here is reminiscent of the animal sacrifices familiar to both Jewish worshippers and pagan ritualists. The Greek word paristemi is translated "present" in this passage. As to the technical usage of the word in this context, Marvin Vincent states, "It is the technical term for presenting the Levitical victims and offerings.... In the Levitical sacrifices the offerer placed his offering so as to face the Most Holy Place, thus bringing it before the Lord." What we see then is that Paul is presenting, no pun intended, the fact that the believer has an obligation to offer himself as a real sacrifice to God, which is a total dedication in the same fashion that the Old Testament animals were set apart and dedicated for the purpose of giving their lives for the sins of Israel. The obvious differences serve to further expound the magnitude of the decision, which differences are first that unlike the sacrifices of old it is a voluntary decision, and second, it involves continued living in a state of dedication instead of immediate death of the sacrifice. I labeled this as the first intelligent step toward growth. The reason is simple; it is a step of obedience to the Word of God. This does not necessarily mean that the believer is acting in response to Paul's words, but it does mean that he is acting in response to God's work in his life possibly through a series of events that God has used to bring him to the end of his own strength. In conjunction with this positive step it is without question that he will soon thereafter discover that what he has done was in obedience to God's word. "Do not grieve the Holy Spirit of God, by whom you were sealed for the day of redemption" (Eph. 4:30). Chafer correctly expresses the truth of the matter when he described the Christian life as one of supernatural requirements and in constant need of the empowerment of the indwelling Spirit and God's enabling grace. With such needs and requirements it is imperative that the believer maintain a fellowship with the Spirit. It is therefore incumbent upon the believer to obey Paul's message. To grieve the Spirit is to tolerate known sin in our lives, to live with unconfessed sin. "Grieve" is the translation of the Greek word lupeo in its present active form which likely indicates that Paul was saying "do not go on grieving the Holy Spirit." Sin is to miss the mark of God's perfect righteousness or to deviate from His perfect standard. As Chafer states, "where sin is tolerated in the believer's daily life, the Spirit, who indwells him, must then turn from His blessed ministry through him, to a pleading ministry to him." Allowing sin in our hearts to go unchecked places us in an immediate state of carnality regardless of the length of time that we stay in that condition (Ps. 66:18). Yet, God has provided for the remedy for the sins of the believer, which provision also allows an immediate restoration of fellowship between the believer and Himself. John addresses this subject in First John where he admits that any believer can "walk in darkness" (1:6), and thus he is not practicing the truth but that which is contrary to God's very nature (1:5). Though still a believer, he is nonetheless living in the flesh (carnal). That walk in darkness proves that the one doing so is not in fellowship with God but out of fellowship. John continues by broadening the subject stating, "If we say that we have no sin, we are deceiving ourselves and the truth is not in us" (1:8). "Sin" here is in reference to the sin nature and not individual sins. If we say that we do not continue to have the very source of sin, the old man, remaining in us we are deceiving ourselves. This is a sure way to live a defeated life and not progress in growth toward maturity. However, John continues: "If we confess our sins, He is faithful and righteous to forgive us our sins and to cleanse us from all unrighteousness" (1:9). Therefore, understanding that we continue to have a sin nature we also understand that we continue to sin and are able to deal correctly with it. In doing so, we can maintain a consistent fellowship with the indwelling, empowering Spirit. We can conclude that at some point in our lives as Christians we will grieve the Holy Spirit by sinning and not immediately confessing it. We may even remain in that state for some length of time. That state of broken fellowship isolates us from the Spirit's ministries in us, particularly His work of empowering us to live the Christian life. However, God has offered the means for reestablishing fellowship by simply confessing our sins. Another negative command is, "Do not quench the Spirit" (1 Thess. 5:19). "Quench" is from the Greek meaning to put out (a fire), suppress, or stifle. In the present context Paul was telling the Thessalonians not to resist the out working of the Spirit and of the gifts He gives within the life of the Church (see vv. 12-18 and 20-22). Such resistance would stifle His work in their midst and would be tantamount to refusing to abide by and submit to the Spirit and the spiritual gifts at work. However, the quenching of the Spirit is not limited to the output of the spiritual gifts (vv. 12-18). When the believer says no to the Spirit's work, regardless of the form that work takes, he quenches or suppresses the Spirit and therefore limits or inhibits His work in the believer's life. The Spirit does not abandon the believer, as seen earlier in the distinctions between Israel and the Church, but the believer's resistance makes the Spirit's filling impossible until the believer changes his mind (repentance) and confesses his sin. Therefore, the believer, according to Paul, must "stop quenching the Spirit" (present active imperative) by refusing to allow Him to work. The cure to the quenching of the Spirit is to "present yourselves to God as those alive from the dead, and your members as instruments of righteousness to God" (Rom. 6:13). This correlates directly with one's decision to dedicate himself to God (Rom. 12:1). Christ Himself is the perfect example of this attitude (Phil. 2:5). In Hebrews 10:7 the testimony of our Lord is found: "Then I said, Behold, I have come...to do your will, O God." It is perfect submission and obedience to God's will. To sum up, to quench the Spirit is to refuse to obey God's revealed will. The cure is to have a change of mind (repentance) concerning said refusal and the decision to live in obedience to His will. It is to have the mind of Christ (1 Cor. 2:16) and to adopt both the knowledge and the attitude associated with it (Phil. 2:5). Finally, we find a positive command from Paul. He says, "walk by the Spirit, and you will not carry out the desire of the flesh" (Gal. 5:16). This is the believer's exercising positive volition in deciding to live in dependence upon the indwelling Spirit's power and guidance. To walk by the Spirit refers to living by means of the indwelling Spirit. In other words it is a moment-by-moment dependence on the Holy Spirit's guidance in taking every step of life by faith in God based upon the knowledge of His revealed will in Scripture. Ryrie agrees, "Actually walking is, by its very nature, a succession of dependent acts....Walking can only be done successfully by successive acts of faith in the power of one's feet. Likewise the Christian walk can be done successfully only by a constant dependence on the Holy Spirit's control over one's life." Remember, the Christian life is one of supernatural requirements such as understanding God's will and choosing to live in obedience to it. This is made possible only through reliance upon the indwelling Spirit, the one "who is at work in [us], both to will and to work for His good pleasure" (Phil. 2:13). When a believer grieves the Spirit by allowing sin to remain unchecked in his life he allows sin to interrupt the Spirit's continued guidance. When a believer quenches the Spirit by refusing to live in obedience to what he knows the will of God to be he suppresses the Spirit's work in his life. However, when the believer responds in obedience to God's revealed will and chooses to depend upon the Spirit to do so he is walking by means of the Spirit. Walking in the Spirit is living moment-by-moment under the influence and power of the Holy Spirit. It is to walk step-by-step under His guidance by not allowing personal sins to be left unconfessed and thereby not grieving the Spirit, and by choosing obedience to God's revealed will thereby not quenching the Spirit. The positive decision to depend on the Spirit results in walking by means of the Spirit, or the Spirit's filling. We will address the Spirit's filling in the final section to follow. It is therefore to the Christian's benefit to strive to walk by means of the Spirit. Only in doing so will the believer find victory in the Christian life. However, we must not confuse this striving with the self-generated attempt to gain holiness by mere self-effort. Instead it is accomplished in the one who is being motivated by the Holy Spirit through knowledge of God's revealed will and who is empowered to do so by the indwelling Spirit to choose to obey God. Each of the previous subsections of the believer's progress in the Christian life are related to the maturation progress involved in growth as a follower of Jesus Christ. In addition to these truths there must be added at least two others that have direct bearing upon a Christian's ability to "grow in the grace and knowledge of our Lord and Savior Jesus Christ" (2 Pet. 3:18). The Christian life is reflective of natural life. Within the believing one is born a new man. That new man is meant to progress forward from the initial stage of birth to the final stage of full maturation. There is a definite process to this growth. The ultimate goal is to progress to the point that Christ is formed in us (Gal. 4:19). The Christian life, when healthy and normal, follows the same process as natural life. That is, just as a newborn baby must go through the stages of growth on his way to maturity, so the newborn Christian is a baby that must progress toward maturity. One of the failures of the Church is that there seems to be a mindset that believes every Christian is automatically on the course toward maturity simply because they believe in Christ for salvation. Merryman offers a clear and helpful explanation, "...[A] new Christian cannot be mature because maturity involves time plus knowledge of truth and application of truth (m = t + kot + aot). The same is true in physical life: at age 1 a person can be an absolutely healthy organism just as at age 20; but at age 1, it is impossible to be as mature as at age 20." Sadly, there are many believers who are twenty years old in Christ but are babies in their maturity level. Marvin Richardson Vincent, Word Studies in the New Testament (New York: Charles Scribner's Sons, 1887), Logos Bible Software. Both Chafer and Merryman address this issue. Chafer states, "Sin is what we are by birth, while sins are the evil we do in life" (Chafer, Spiritual , 114). Merryman addresses the issue in the following: "John is not referring in this verse to "sins" (as he does in verse 9), rather to their source, the animating sin that continually resides in us.... It is the animating sin nature that he is focusing on." See Ron Merryman, The Passion War: Spiritual Conflict in Every Believer (Casa Grande, AZ: Merryman Ministries, 2002), 5. Ryrie, Christian Life , 114-15. Ron Merryman, Spirituality...Maturation...Retrogression... (Casa Grande, AZ: Merryman Ministries, 2004), 6 (emphases in original).